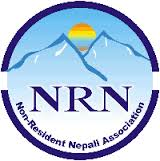 What sorts of Provision is included in Draft regarding the Citizenship of NRN ? - Integration Through Media ....! By Chiran Sharma, LONDON: The Constitution Drafting Committee has included the proposal of giving non residential citizenship to the non Nepali resident who are currently living and holding the citizenship of the different countries other than SAARC. Inclusion of such provisions in the draft mean the upcoming constitution of the nation will have the provision of exercising the various social and economic rights by nonresidential Nepali citizens. As a result of earlier various agreements between the Nonresidential Nepali Association and major political parties this provision of issuing the limited rights-citizenship has been included in the draft of the new constitution.However the one who will get such type of citizenship will not have any political rights. Former speaker of the Non-Resident Nepali Association Dr. Hem Raj Sharma has welcomed the decision that has made by the Constitution Drafting Committee. Giving the preliminary response Sharma told that until and unless we are guaranteed the rights to reuse of previous Nepali passport we couldn’t be assured. It has been heard from the reliable sources that there was a conflict between the members of the drafting committee while including this provision in the draft. Before the final draft the major parties and top leaders has actively involved in including such provisions.